We're delighted to announce that John O’Donovan is joining Nick Hern Books in the new role of Consultant Editor. Reporting to our Managing Director and Commissioning Editor, Matt Applewhite, his responsibilities will include identifying areas for development and growth of our publishing programme, commissioning and acquiring new plays and theatre books, and editorial work on new publications. John joins NHB after a five-year spell at Bloomsbury Methuen Drama. He has previously held roles at Penguin, Continuum and Reaktion Books. 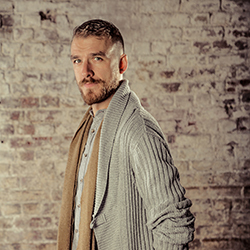 He is also a playwright, whose work has been staged and read in the UK at the Old Red Lion, New Diorama, Southwark Playhouse, Theatre503 and Arcola Theatre, as well as in Ireland by Druid and the Abbey Theatre. He is a current member of the Old Vic 12. His play If We Got Some More Cocaine I Could Show You How I Love You premiered at the Old Red Lion in August 2016 to great critical reception. John will take up his role on 6 June and can be contacted on john@nickhernbooks.co.uk. Matt Applewhite, Managing Director at Nick Hern Books, said: ‘We’re thrilled to be welcoming John ­to NHB. With his acuity and vision, his own experience as a fine playwright, and his track record in theatre publishing, he’ll be a great addition to our team. Working alongside our editorial staff, he will be involved in the commissioning and acquisition of plays and theatre books, particularly those by first-time writers, and integral to enhancing Nick Hern Books’ reputation as publishing the finest writing for and about the stage.